Nick St. Denis, Director of Research at Key Media and Research, has published his 2019 Glass and Glazing Industry Outlook. 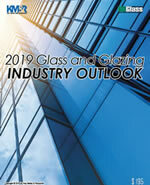 The report, expanded from previous editions, is based on insight, data and statistics compiled from a survey of U.S. contract glaziers, glass fabricators, manufacturers, systems suppliers and retailers nationwide, as well as economic and construction figures from various sources. Topics covered include: construction economics; key building segments for glass and glazing; contract glazier outlook, glass fabricator/manufacturer/systems supplier market trends; contract glazier sales growth trends; the labor situation; employment figures; materials and equipment; and key mergers and acquisitions. 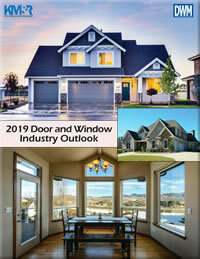 The Door and Window Industry Outlook report is a comprehensive look at the state of the domestic fenestration market. The report is based on insight, data and statistics compiled from survey research of manufacturers and dealers across the U.S. and Canada, as well as construction, manufacturing and economic figures from various sources. Topics covered include: micro and macro outlook of market; manufacturing facility footprint; capacity/production trends; merger and acquisition activity; overseas sourcing practices; material pricing concerns; sales expectations of manufacturers and dealers; market confidence of manufacturers and dealers; and regional outlook of dealers. 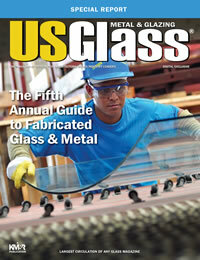 The USGlass Magazine Fifth Annual Guide to Fabricated Glass & Metal offers a geographic look at where you can locate fabricators in a specific state or region. As you browse this section, you’ll find maps for each category, along with a listing of the companies that offer those fabrication capabilities. We are also beginning to track European fabricators, as well as ones located in other parts of the world. We expect to continue expanding upon this section; the non-North American information is in no way complete. 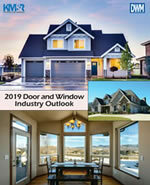 The 23-page report is based on insight, data and statistics compiled from a survey of U.S. contract glaziers, glass fabricators and manufacturers nationwide, as well as economic and construction figures from various sources. 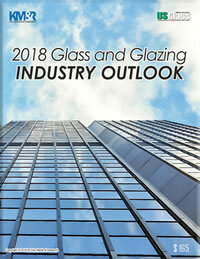 Topics covered include: construction economics; key building segments for glass and glazing; contract glazier outlook, glass fabricator/manufacturer market trends; contract glazier sales growth trends; the labor situation; employment figures; materials and equipment; and key mergers and acquisitions. 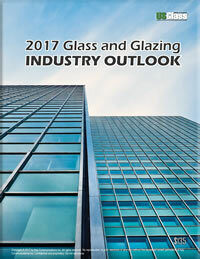 The 17-page report is based on insight, data and statistics compiled from a survey of contract glaziers, glass fabricators and manufacturers nationwide, as well as economic and construction figures from various sources. Topics covered include: construction economics; key building segments for glass and glazing; contract glazier and fabricator/manufacturer perspectives; contract glazier sales growth trends; the labor situation; employment figures; and materials and equipment.